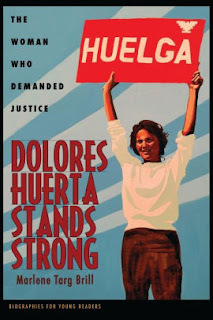 Publisher: New Horizon Health, Inc. In Sigfried's Smelly Socks! by Len Foley, a little boy searches why his book smells so bad. He thinks about several reasons behind the foul smell. Could it be a rotten banana? Maybe it is his dog's pee stain. Perhaps his uncle is at fault since he left a disgusting mess. 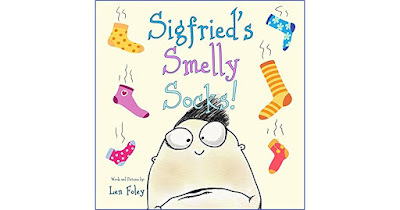 Or could it could be Sigfried's smelly socks? My little daughter, who is in the age range of this children's book, and I had a blast reading the hilarious Sigfried's Smelly Socks! Sigfried's notions about why his book might smell awful are super funny. Len Foley does a great job in appealing to the sense of disgust with his sentences and illustrations. Funny and disgusting come together for an amusing read. My daughter could not stop laughing and asking to smell the "book" (we have a digital copy) while we were reading. We have already read it three times, and I think it is becoming one of her favorites books. 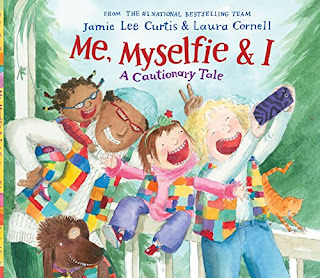 I recommend this story to parents and children who enjoy funny books. "And my red socks smell like a toilet seat!"